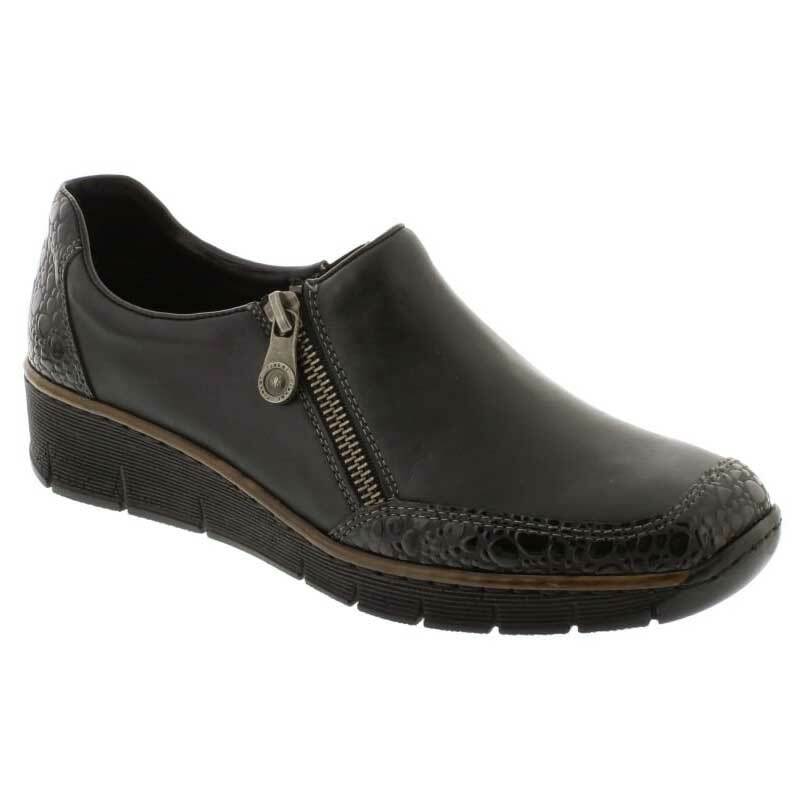 Slip into something special in the contemporary 53734 from Rieker®. Supple leather upper with center croc leather overlays and a thick sole. A side zipper guarantees effortless on/off wear and a flexible fit every time. Soft leather lining conforms to the foot and wicks away moisture to keep you dry. Leather insole provides cushioning and support in order to reduce fatigue. Durable synthetic outsole maintains traction and grip and helps your stride remain steady. This was a second choice as my first choice of a different brand did not fit well. Love these! They are very comfortable and I love that it has a slight heel - not completely flat.